Now we are talkin’! Kimber is set to release a brand new DAO revolver to the market in March of this year. The Kimber K6s is a six-shot, stainless steel .357 Magnum wheelgun with a 2 inch barrel and internal hammer. This one is aimed center-of-mass at the concealed carry crowd. 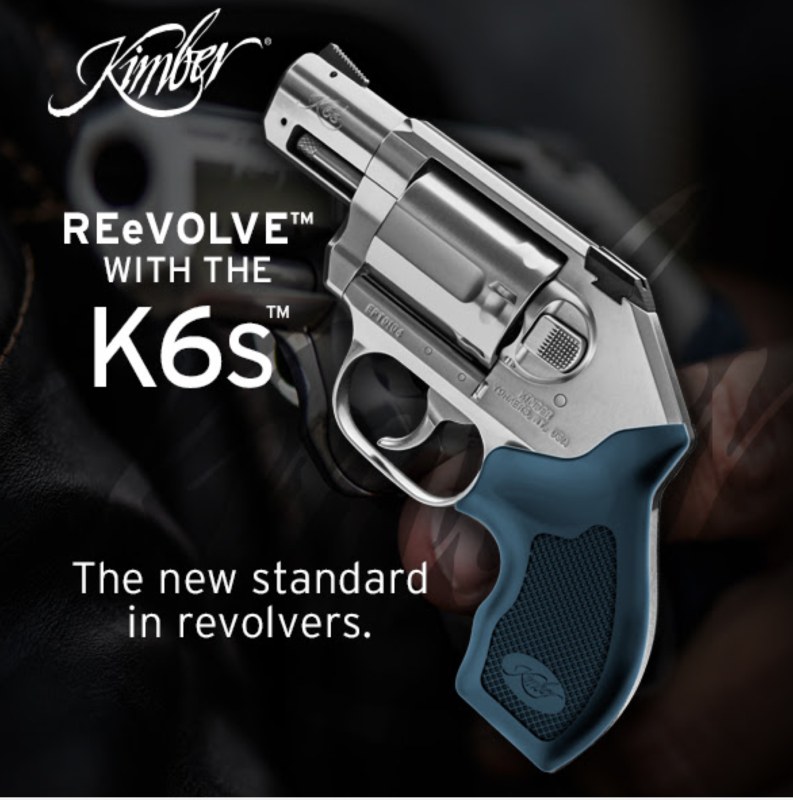 The Kimber K6s has material milled from the revolver’s cylinder, resulting in an interesting series of alternating flats and curves. Like a Ruger LCR, the cylinder release is a push button affair. K6s’ action rotates counter-clockwise, like S&W, but unlike Colt. With pinned front and dovetailed rear sights, I am certain the aftermarket will already be tooling up for replacement dots, tubes, and trits. Likewise for aftermarket grips. Wood, G10, and other materials should be in the works. This is burly all-stainless revolver that may muscle a few aging Colt Detective Specials back into an honored place in the safe. MSRP will be $899.00. This entry was posted in Concealed Carry, Firearms and tagged concealed carry gun, Police Back-Up Gun, police revolver. Bookmark the permalink. When Colt was selling D-frames (Detective Special, Cobra, and Agent), they always advertised the “all-important 6th shot.” But all the “experts” say you should carry .38+Ps in your .357s, so for the price of one of these Kimbers, you can buy 2 642s or LCRs and get the all-important 10th shot. Even so, I’d like to see this Kimber succeed. I have a soft spot for round guns. Yeah, I want to see more diversity in the revolver market. I, too, am hoping this gun will be a staple in Kimber’s inventory. I like a 6-shot snub. I have two Colt Cobras, one blued, one nickle, but they are getting rare so I hate taking them out of the safe. I’d buy a K6s for those days I am hankering for a tough wheeled carry that won’t make me cringe when I bump it on something. The experts did not have this revolver in hand when they recommended 38+p. From all reports, this weapon has significantly reduced perceived recoil. At the shot show, they weren’t using Hornady critical defense magnum loads, at least according to one of the Kimber spokespersons in Kalispell, Montana. If so, the match of this weapon with magnum ammo designed for the short barrel revolver and for reduced recoil could change dramatically the recommendations of those experts. Well, I finally gave in and made the purchase. It’s the basic model and it now appears that it comes standard with a 3 dot sight system. It handles .357 loads without any issues, although perceived recoil wasn’t that bad. I did shoot a few qualification courses out to 25 yards with both .38 Special +P and .357 loads with zero issues. Holster selection is only a bit challenging, as there are only a few out there making dedicated holsters for this revolver. If all else fails, I tend to choose holsters for a Colt DS, as their cylinder dimensions are similar. In all, being an old time revolver copper, I absolutely LOVE this K6S and this now joins my S&W Model 13 4″ as my new off duty weapons platform. Twelve rounds of .357 mag or .38 Spl +P, with a few speed strips/loaders, will get the job done as long as I do my part….. I am envious, AJ! I love wheelguns and that one is on my wish list along with a new Colt DS. Good to hear no issues.